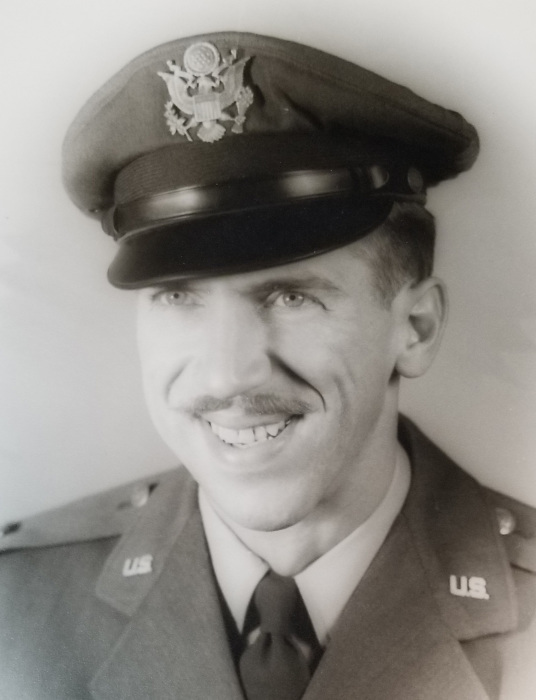 Colonel Earl A Lilley was born February 21, 1921 he was the 2nd youngest of 7 children to parents George E. and Katherine Lilley of McClellandtown, PA. He grew up in the depression era, where he learned how important a garden was, he always had a big beautiful heavy producing garden which he shared with family and friends. Earl had a big heart, loved animals and little children; he loved to help out many youth organizations through out his life. Earl had a couple passions in his life, flying was one of them. Unbeknown to his Mom, Earl had been taking private flying lessons after he graduated from high school in 1939, after one of those practice flights when he had landed his piper cub, a friend came running to him to tell him World War II had begun. Earl being the man of honor he was, went right to his recruiting office to sign up, but he was not old enough to on his own, he needed a parent’s signature. His Mom was not going to sign for him; she wanted him to become a teacher. At the time he was attending college at the California Teachers College in PA. Lola and Earl had been dating since their sophomore year of high school, they decided to get married and Lola signed for him to go into the Army Air Corp. Needless to say, Katherine was not happy with Lola. Earl spent 28 years in the Air Force with love and dedication for service to our Great Country. During WWII he flew 50 missions flying B-24 Bombers, with great accomplishment and as he put it “Luck” of not losing a crew member during any of their 50 missions. He received the DFC (Distinguished Flying Cross) for flying his crippled bomber back to his base at Foggia Italy. He landed his great bird with only 2 of the 4 engines surviving. He had made a comment that this was the only time he had ever been scared during a mission. This mission was his 1st combat mission, and he was struck by enemy fire on his way from Italy to Bad Vöslau, Austria. In 1963, Earl was promoted to a Full Bird Colonel; while stationed at Mountain Home Air Force Base. He was one of the first classes of Instructor Pilots in the B-47 medium Bomber. Earl also had the honor of flying the last Operational SAC B-47 Bombers to the Boneyard to Davis-Monthan AFB in Feb. 1966. His family meant the world to him, he married Lola March 30, 1942 and she faithfully traveled with him wherever he was stationed. His kids, Jim, Terry, Melody and Kathy made the comment that they moved 18 times by 1962. Lola kept them all in line when Earl was out on duty. In 1966 Earl traveled from Mountain Home to Emmett to visit a military friend, Colonel John Mason. On his drive down Freezeout Hill, he decided that Emmett would be the family and his forever home. He fell in love with the little valley. Earl retired from the Air Force in 1968 and they all settled into life in Gem County. Earl never strayed from his Military upbringing. He was very patriotic and loved to help others in need. Then his second passion came into being, he had always been a horse man, starting a riding club at the Mountain Home Air Base, and helping others to get involved with horses. He bought his first race horse broodmare in 1968 and after being asked by his friend, Lee Rogers, to just try another one of his horses, Lady Iron, in a starting gate just to see what she would do. The racing bug got him and the girls Terry and Melody lost their barrel horse. 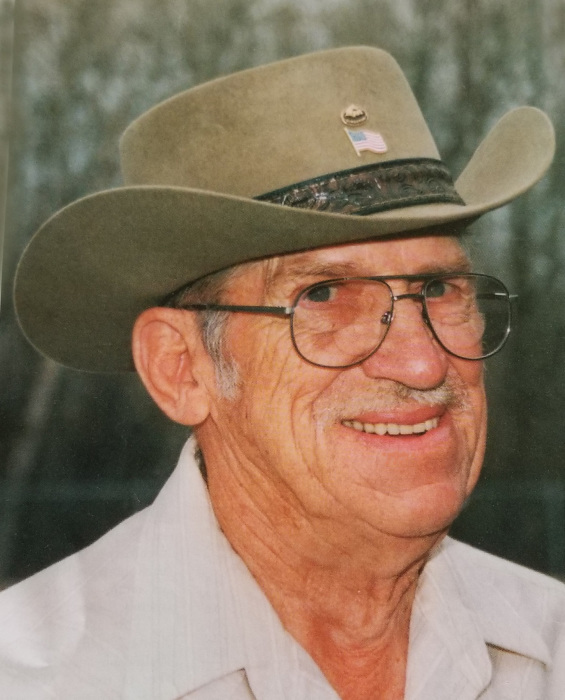 He raised many racing champions and his horses were versatile also from roping horses, barrel horses, jumper horses, dressage horses, and big beautiful horses. Earl was very passionate about the Horse Industry in Idaho. He lobbied for the growth and development of Idaho’s Race Horse Industry. He was involved with the Idaho Horse Council, where he was President and very active in promoting activities, attending the Horse Expo every year. He also was involved with legislation to bring Historical Horse Racing to Idaho and to the ballot in November 2018. Earl also belonged to the American Quarter Horse Association (AQHA). In the 50 years of belonging to the organization, he only missed 1 convention. He made it a priority to have fun and dance. Earl loved to dance and sing, and he wanted everyone around him doing the same thing. He acquired many life long friends from the Horse Industry, Ed McNelis, Clayton Russell, and Dwayne Didericksen just to name a few. His other passion was the Gem County Sr. Center, where he was President of the board for a time. He got involved with the Senior Center after Lola had passed away in 2000, where he could go dance and laugh and hang out with his friends. During this time, he met a lovely lady named Jo Fisk, on his first “date” with Jo, he had asked her to come to a dance at the Senior Center with him, but he also made sure she knew he had asked 5 other ladies to go also, but he sat with Jo, and danced with his other dates, not to long after this he only asked Jo to the dances. They have been married 4 years, and they were busy traveling, dancing, eating and enjoying life. His family is so grateful for the love Jo had for Earl, they knew the love was mutual and they did not have to worry about Dad anymore. Earl always had a smile and a hug for the ladies and a strong handshake for the men. Earl did not know a stranger and respected everyone with the same admiration for each and every person he met. He could talk about anything and was current on all the news/political topics. Earl and his singing will be missed by all. On August 25th he started having some heart issue’s that took him to the hospital for a couple days, he kept singing to everyone “I wanna go home”, he kept telling his Granddaughter Patti, I want my boots and he would sing “I wanna go home”, he made us all smile and laugh even when times were getting hard. He did go home and sleep in his comfy bed with his beautiful bride for one more day. Earl left this world in a golden chariot being driven by his grandson James (PJ) Freeman. Gone but never forgotten. He was preceded in death by his wife Lola, and grandson James, and his parents and numerous siblings. He has one sister living, Mable, she lives in PA, his children, Jim and (Katha) Lilley, Terry Smith, Melody Rose and Kathy and (Scott) Freeman, James Fisk and Teresa Jones. His two adopted girls, Genie Mittleider and Candi Witzel. His grandchildren Patti Jasso, Stacey Wescott, Pete Rose, Dan Rose, Melissa K Price, Larenzo Freeman, Bridger Fisk, Carson Fisk, Jocelyn Fisk and Michael Lincoln and his great grandchildren are Christopher Walker, David Jasso, Donavon Lara, Max Wescott, and Hanna Rose, and Bryson James Freeman. A visitation will be held on Wednesday, September 5, 2018 from 5:00 to 7:00 p.m. at the Potter Funeral Chapel in Emmett. Services will be held at 2:00 p.m. on Thursday, September 6th also at the Potter Funeral Chapel.